Thanks to the specialist solicitors at Holiday Illness Claims, a single mother and her daughter have received a £4,100 compensation pay out following an unsafe first holiday abroad in Spain. 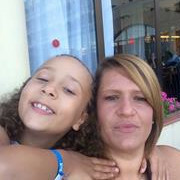 Emma West and her 7-year-old daughter Shennai, jetted off to the four-star Evenia Olympic Park hotel, Lloret de Mar, in August 2015 with high hopes for a memorable stay. Unfortunately, just 48 hours into their first holiday abroad together, the Kent mother and daughter were struck by flu-like symptoms succeeded by sickness and diarrhoea. Owing to the severity of the illness symptoms, the pair sought medical treatment from the local pharmacy. Speaking to the legal experts at Holiday Illness Claims, mother Emma argues that loads of her fellow hotel guests were also suffering from similar illness symptoms, in a suspected outbreak of gastroenteritis. I saved hard for 2 and a half years and this was our first holiday abroad on our own, Emma states, I feel that I as a single parent, was sent to a resort, with a 7-year old, which was completely unsafe for us to be at. The mother and daughter remained unwell on their return home and continued to suffer from repeat illness symptoms for a further 2 weeks. GP tests confirmed that the pair had indeed contracted gastroenteritis. Following her ruined holiday, Emma contacted industry leaders Holiday Illness Claims for specialist legal advice. Experienced lawyer Tracy Stansfield represented both Emma and Shennais claims for compensation on a no win no fee basis, securing a combined pay out of £4,100 for the stricken pair. Commenting on the case, Tracy said: I am so pleased that I was able to help Miss West and her daughter obtain compensation following a ruined first holiday at Evenia Olympic Park. At Holiday Illness Claims we understand how distressing falling ill on holiday can be, especially when children are affected by holiday illness too. We aim to make the claim process as hassle free as possible – a dedicated solicitor will handle every aspect of your claim, providing you with whatever support and guidance you need. I strongly urge anyone who has been unfortunate enough to suffer from illness on a package holiday within the last three years to come forward and contact Holiday Illness Claims. You are only a phone call or click away from expert legal advice. With over 50 years experience in successfully settling compensation claims and an unrivalled claim success rate, you can rest assured that your claim is the best hands with Holiday Illness Claims. To see if you are eligible to make a no win no fee claim for holiday illness in Spain, call 0800 01 54321 now. Alternatively, simply complete the online contact form and a Spain claims specialist will be in touch shortly.